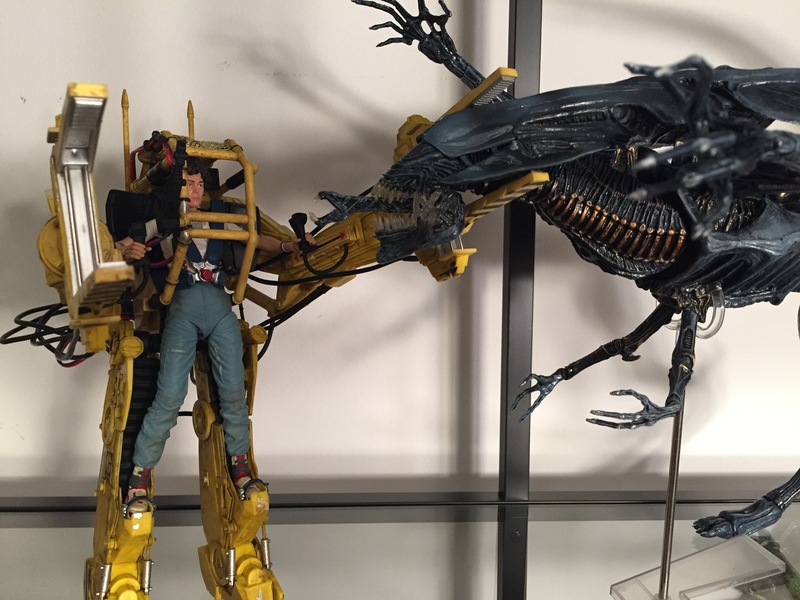 NECA Toys’ Aliens line is one of their fastest growing and features some of the company’s largest and most impressive pieces. 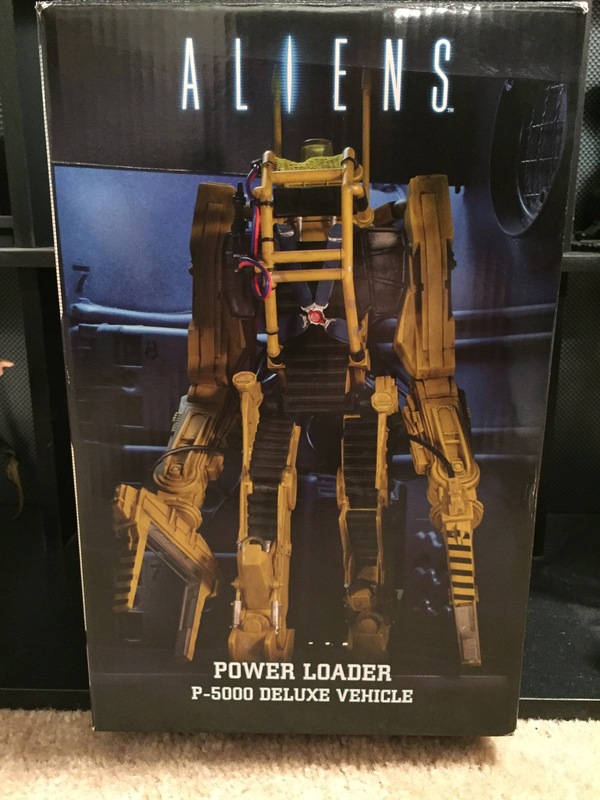 In particular the P-5000 Power Loader and the massive Alien Queen which is thirty inches long from tooth to tail! 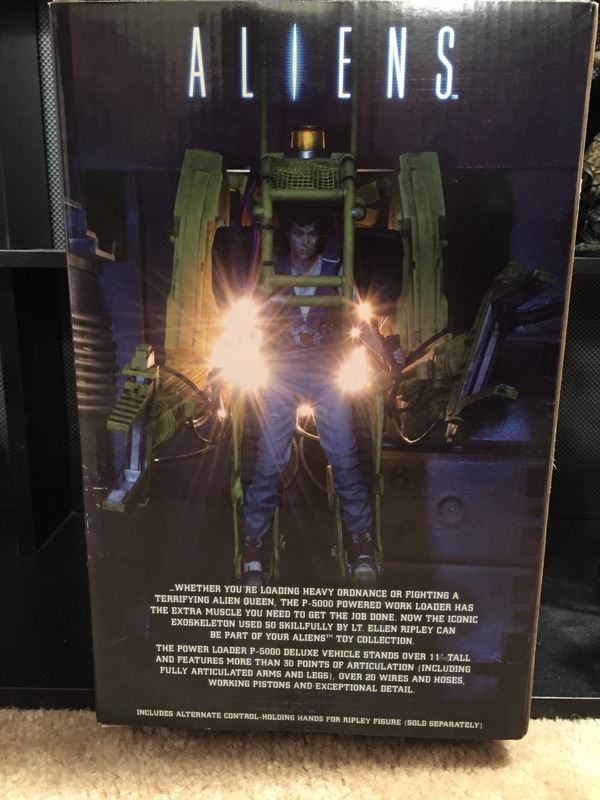 As soon as NECA announced a few years ago that a Queen was in production, fans immediately began to ask NECA’s director of production, Randy Falk, on Twitter and during interviews if a Power Loader was to follow. Since you are reading this, it obviously did. 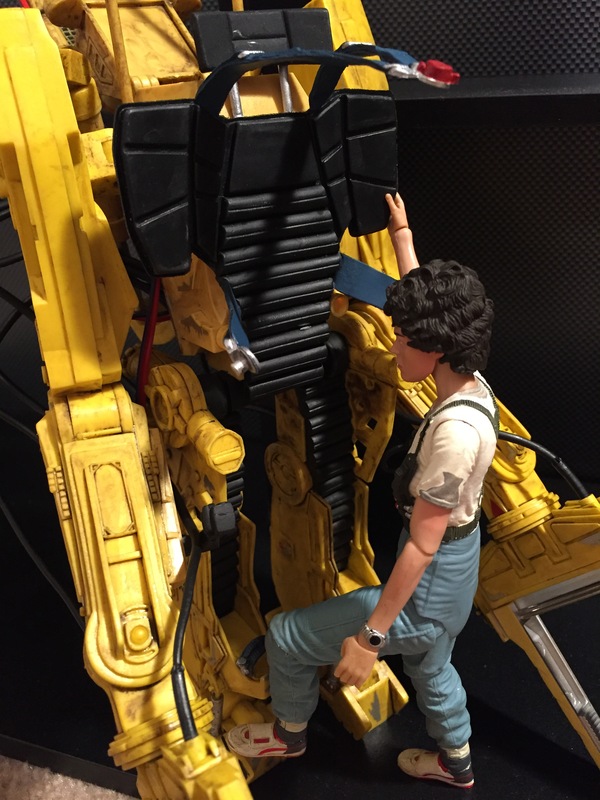 The box is a simple and comes with photography recreating the moment Ripley emerges from the hanger of the U.S.S. 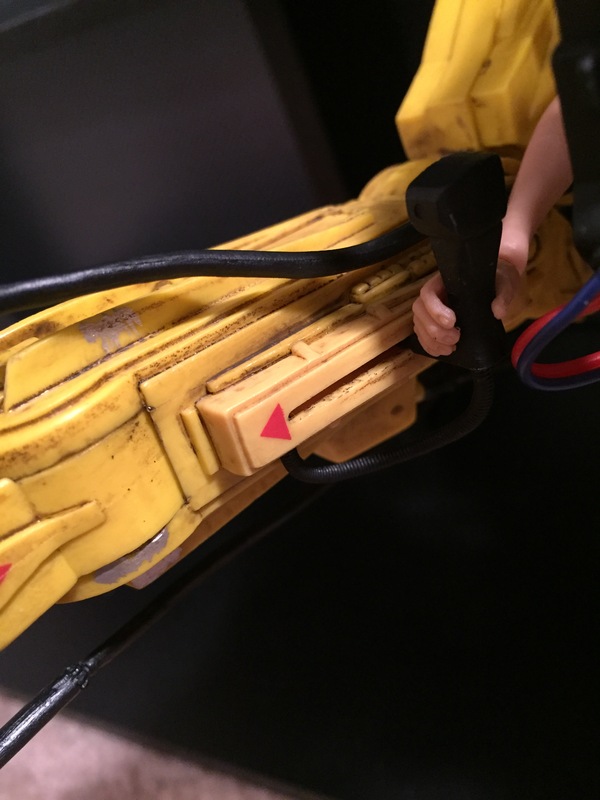 Sulaco in the Power Loader. 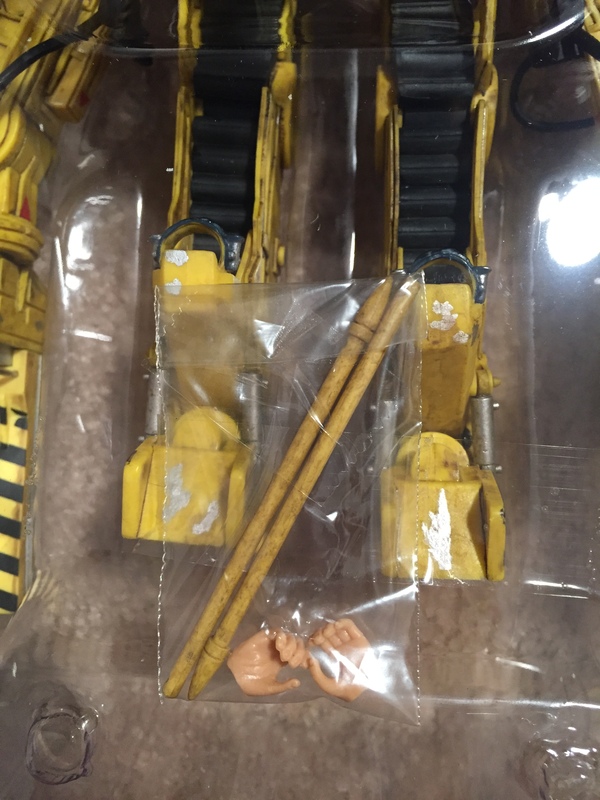 The Loader comes in a plastic shell meant to protect it during shipping. 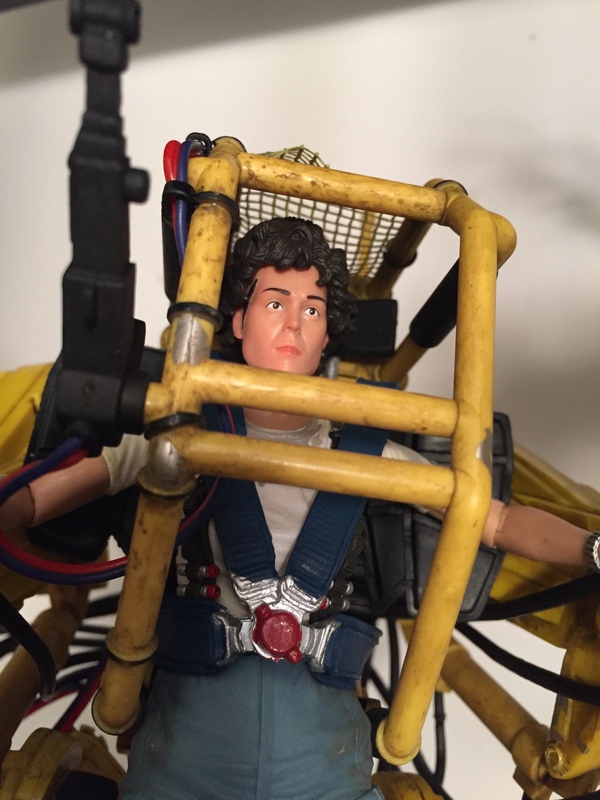 The two antenna along with alternate, gripping hands for the Ripley action figure (sold separately) are in a small bag taped to the plastic shell. 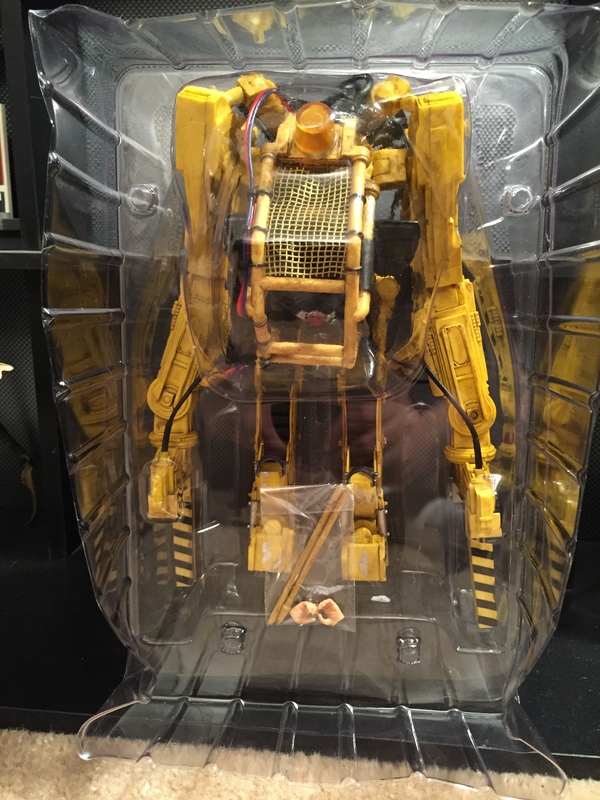 Once I got all the packaging off, put the antenna in and placed it down could I see just how much work went into the detail on this vehicle. Beyond just the fine tooling that went into the details of the vehicle, additional aging and worn down effects were added to show that these Loaders have been well loved. The tubing on the back looks great. 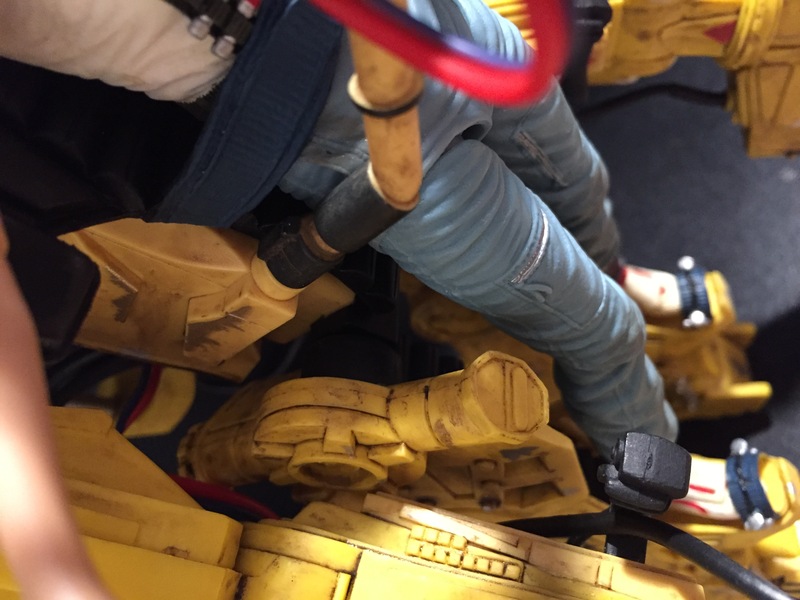 These aren’t something that is shown very clearly in the film, so they add a nice touch of authenticity to the vehicle when you see it entirely. 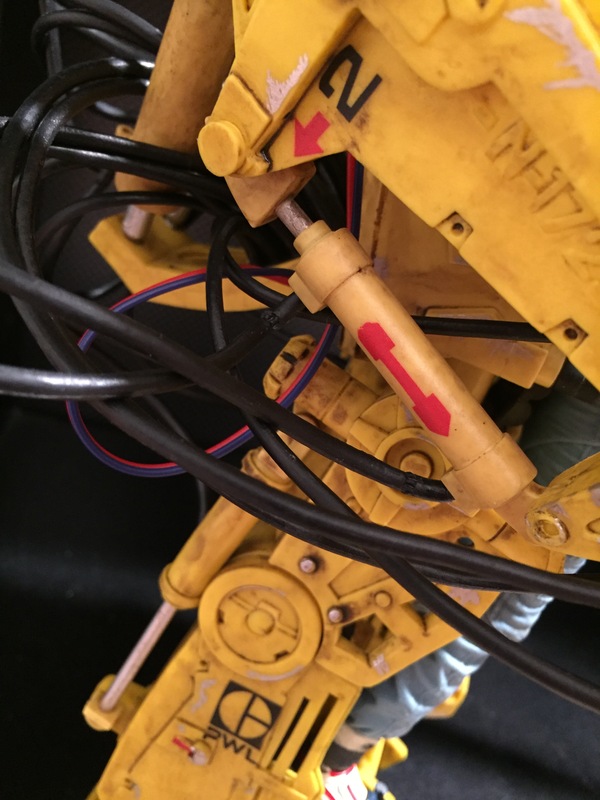 The Loader features a wide variety of moving parts. 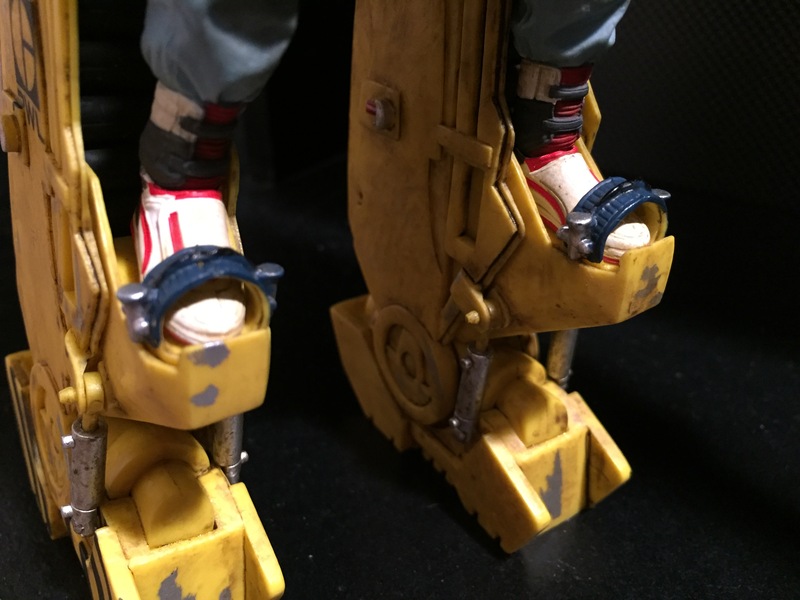 The legs move and can be bent at the knee and ankle. The arms move and can be bent at the elbow and wrist. The shoulders are pistons as are the back of the legs and arms and the front of the boots. Each of these pistons moves in correspondence to the Loader’s movement. 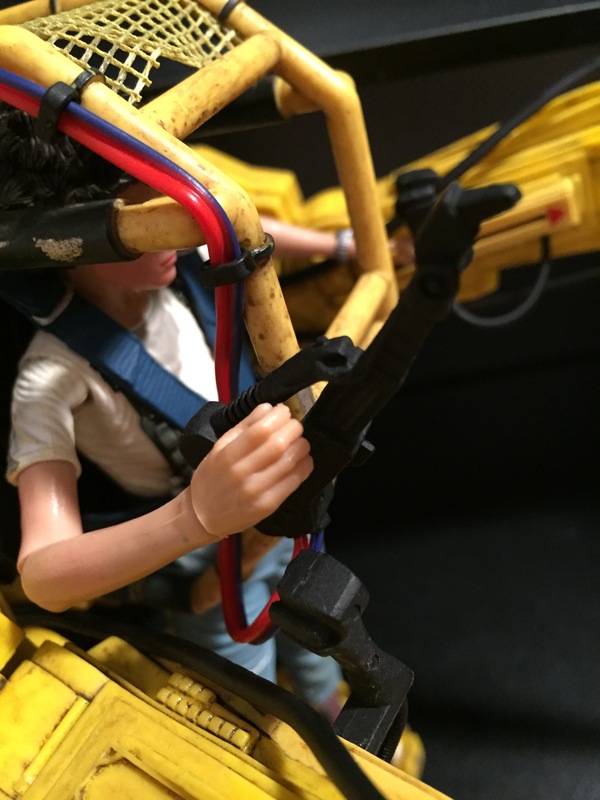 Most 6 to 7 inch figures should fit the Loader, not just the Ripley figure it was designed for. 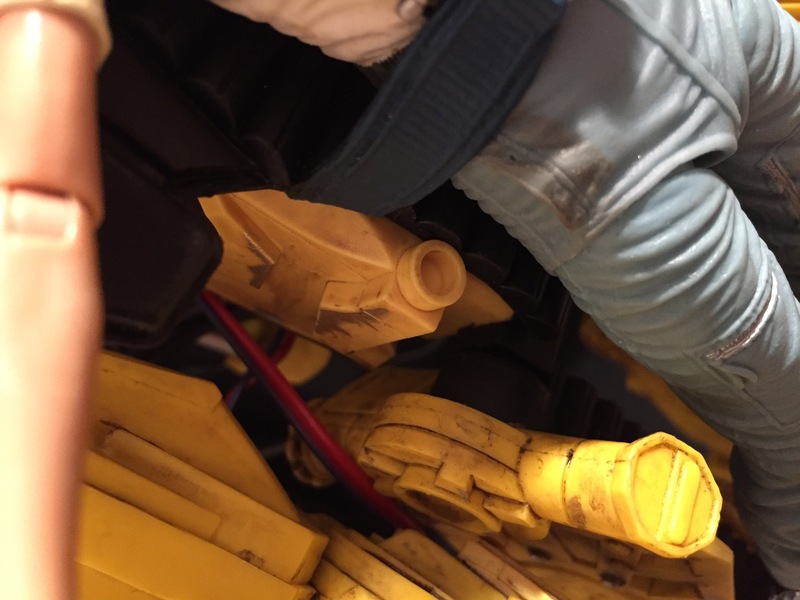 The seatbelt is three separate pieces that clip together over the figure’s chest. 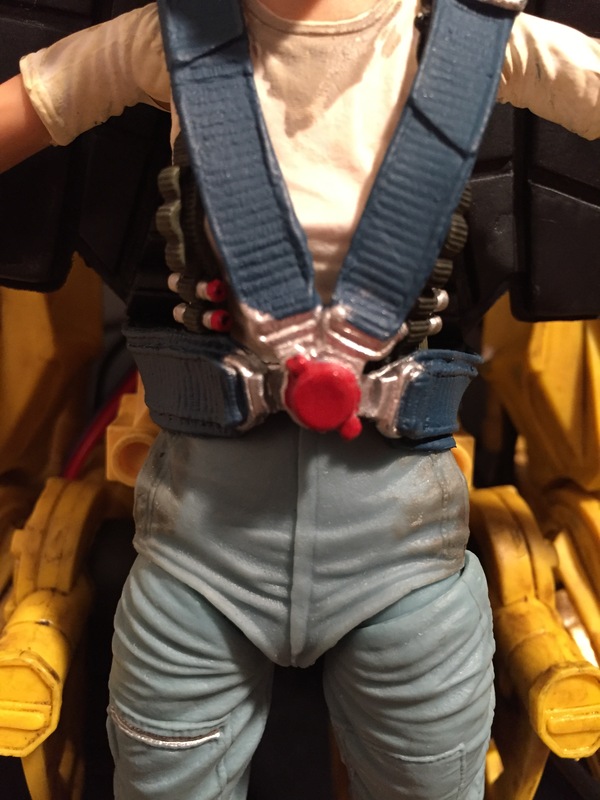 The harness closes down around the figure. And the feet secure into the Loader’s boots. The control sticks slide back and forth in their sockets. 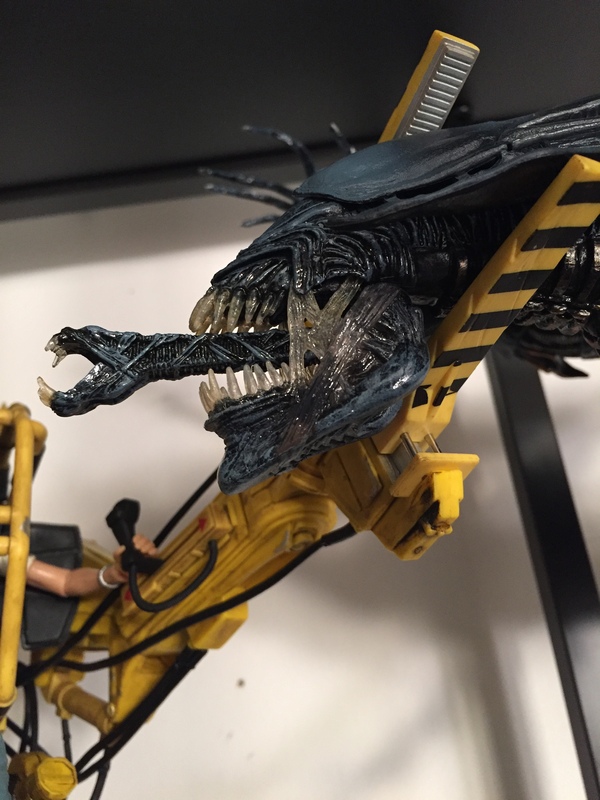 Once Ripley is in the Loader, the pose options are vast. 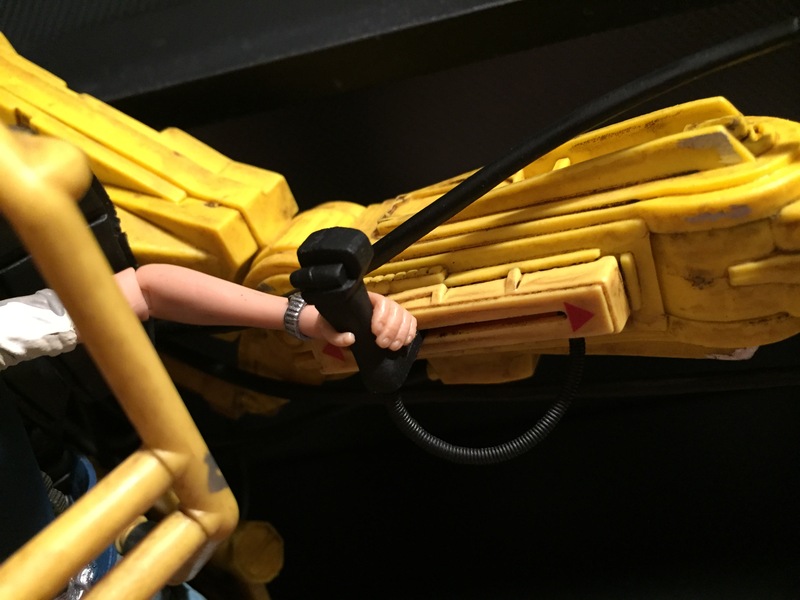 Her hands have some difficulty staying connected when moving the Loader’s arms. 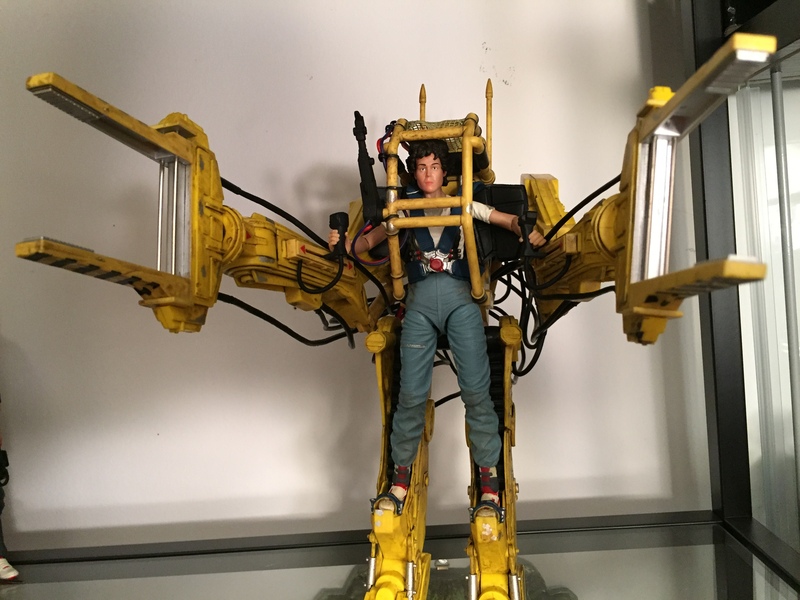 My suggestion is to remove the hands, pose the Loader arm where you’d like it, pose Ripley’s arm, attach the hand to the control stick and slide it back to Ripley’s wrist. 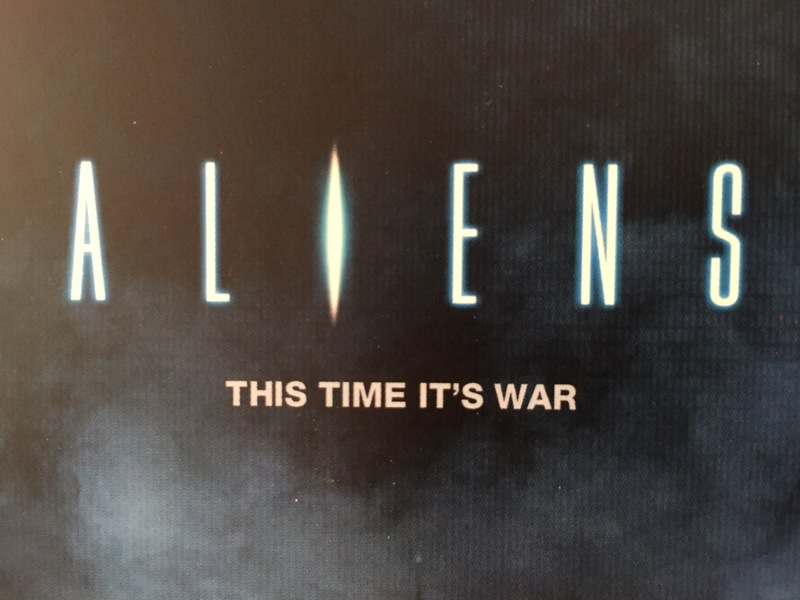 Pose her alongside the Alien Queen! 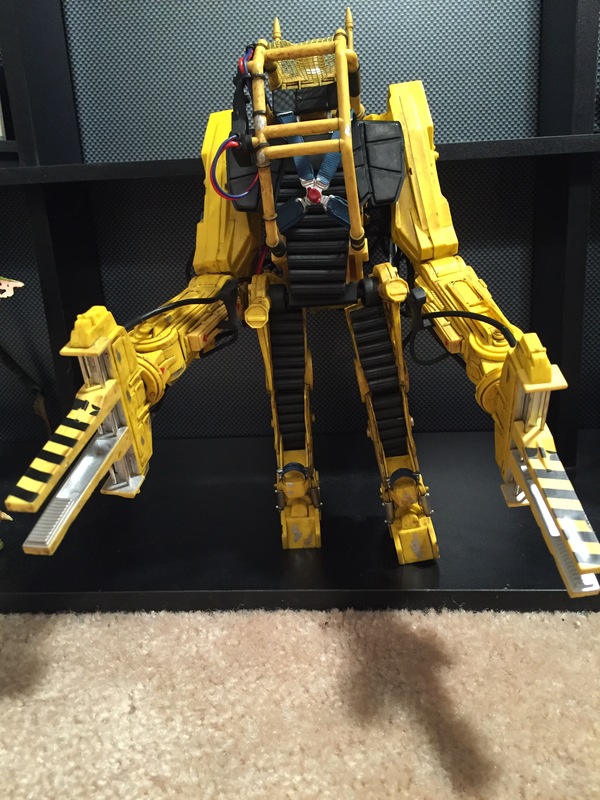 This is where you can show off the main feature of the Power Loader, it’s posable clamps. 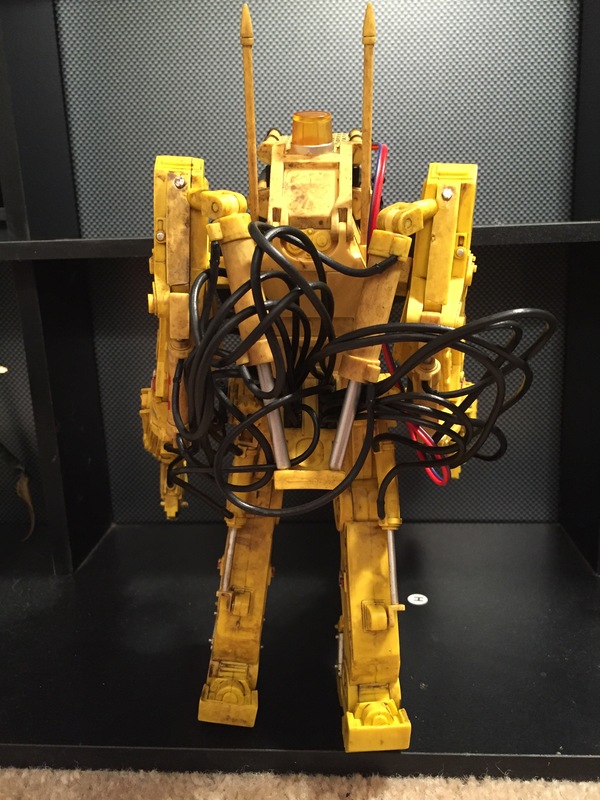 This figure retails for around one hundred dollars depending on where you purchase it. That is a lot, but I honestly feel it is worth it. This is not a cheap collectible by any means. 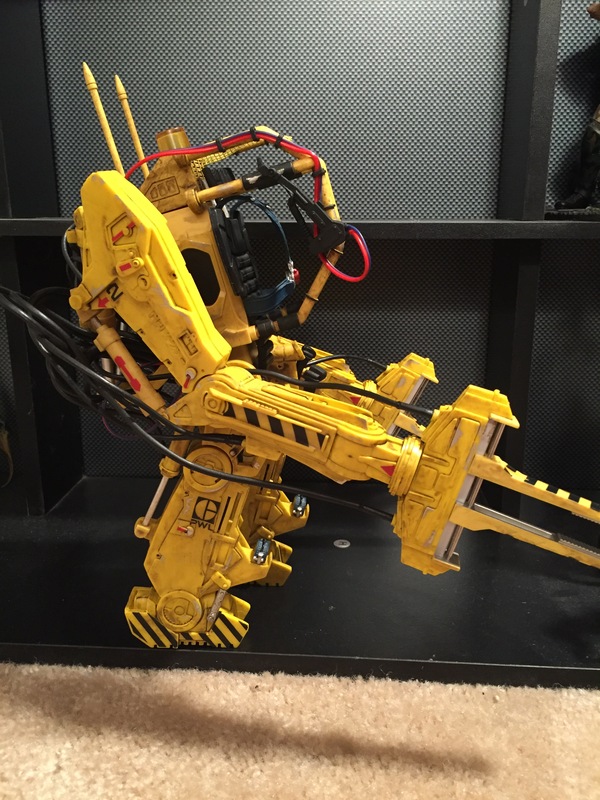 With multiple moving parts and joints, standing nearly a foot in height and twenty cables for detail, this is a piece that has people talking. 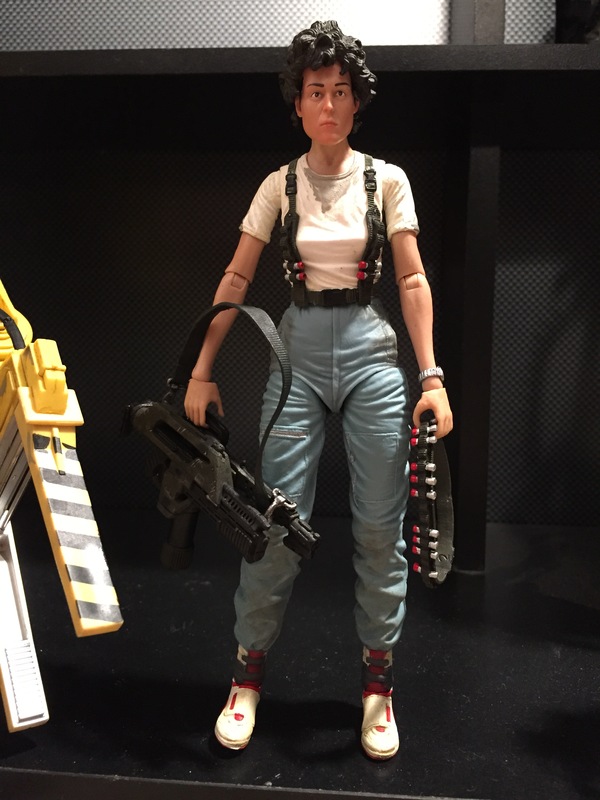 I’ve seen more than one person on social media post how they only planned on getting either Ripley, the Loader or the Queen, not all. Then, upon seeing this vehicle, they broke down and bought all three. I don’t blame them, All three are beautiful and I’ll be doing a separate piece on the Alien Queen sometime in the future.